Bhavi is a semi-professional cricketer who has represented the Western Australian Women’s team as an all-rounder since 2011. She also spent the 2016 season coaching and playing County Cricket for Gloucestershire in the UK. 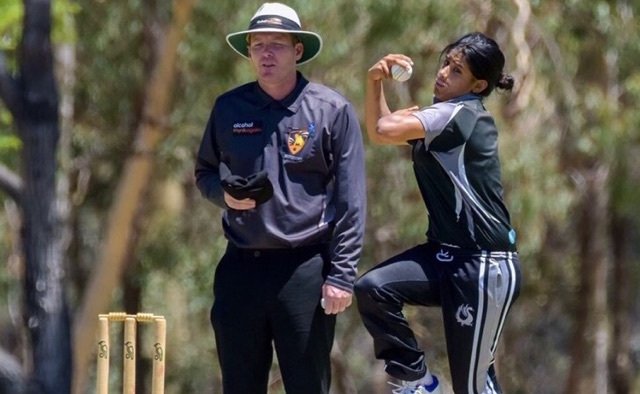 In addition to Bhavi’s experience at a representative level, she has played over 100 games in the WACA Women’s A grade competition and is currently a member of the reigning One-Day and T20 champions Midland-Guildford Cricket Club. Bhavi has had the opportunity to play with and learn from the best cricketers in the world including former Australian captain and coach Lisa Keightley, New Zealand captain Suzie Bates and England legend Charlotte Edwards. She continues to develop a comprehensive understanding of the tools required for peak performance through her involvement in a high-performance environment.